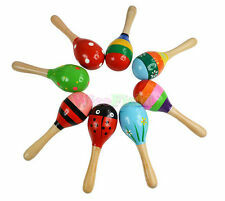 Wooden maraca toy for your kids, Rattle nicely when shaken, Great for children to develop a sense of rhythm. 1 x Maraca Toy. Suitable for: 0-3 years Children. Length: Approx 12cm. New Water Drawing Painting Writing Mat Board Magic Pen Doodle Toy Gift 29X19cm. Just Fill the Magic Pen With Water and Draw on the Magic Aquadraw Mat. 1X 29X19cm Water Drawing Painting Writing Mat Board. 1 Inflatable Baby Water Mat. Kids water play mat constructed from thicken PVC will not leak air or water. Simply fill the mat with water and inflate the edge with air, kids can have hours of tactile and visual fun. A handbell composed of a plastic handle and 5 jingling bells in golden color. 1x Handbell. Great for percussion sounds, and can be used in a similar way to a tambourine. It will give little ones hours of fun and will encourage toddlers' musical activities. 1, Wooden lightweight rattle toy with delicate color. 2, Egg shape and cute pattern design. 3, Great toy for your kids to exercise wrist and get lots of fun. New listingColorful Inchworm Soft Caterpillar Lovely Developmental Child Baby Toy Doll A! Note:The Color of the Caterpillar is Random. This is a colorful and joyful caterpoillar doll, super cute design! 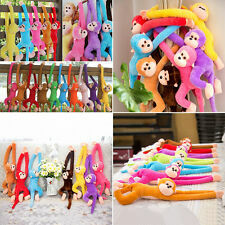 Lovely toys with beautiful colors,suitable for either adults or kids as gifts. 1 X Caterpillars Toy. 100% leakproof and heavy duty. Can safely let the baby bite or eat. 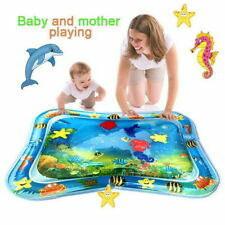 Watch your baby fascinated by colored mats and try to catch the fascinating floating toys. The mat is foldable and lightweight, so you can carry it at will. Due to light and other reasons, there may be differences in color. The soft foam protects floors from scratches and dings. Vibrant and beautiful colors that kids love. - Kids could play balls, dools or other toys on the mat, suits for indoor bedroom, hall, kid's room, etc. Just fill the Magic Pen with water and draw on the Magic Aquadoodle Mat. 1X Water Drawing Painting Writing Mat Board. 1X Magic Pen. A Perfect Travel/Indoor Toy for kids. Kids are fascinated by it -- the colorful images Spring Up, the slowly Fade Away. By tapping different the musical note, it can improve their musical potential and sense of rhythms. 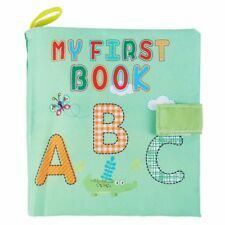 Multiple colors design are helpful for baby recognition ability of colors. Xylophone Beetle Toy: approx.14.5 10cm/5.7 3.9in. 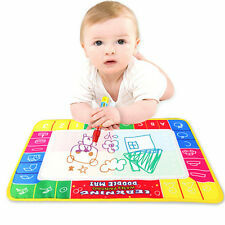 36Pc Soft Foam Baby Play Floor Mat Alphabet Numbers DIY Puzzle Jigsaw Carpet Pad. 1 set/36 small pieces foam mat. Due to the different monitor and light effect, the actual color of the item might be slightly different from the color showed on the pictures. Shape: Round. It's a good gift for your children. Material: PVC.